John Allen Chau’s life could be summed up in two sentences, according to his family. Chau, a young missionary from the United States, was killed on Nov. 17 while illegally attempting to invade the land of the North Sentinel Islanders, an indigenous group protected from all outsiders by the Indian government. When he landed on the island, he was shot and killed by arrows fired by the Sentinelese. 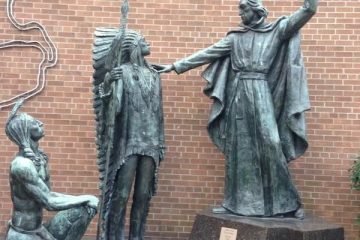 After his death, people — including indigenous Christians — flocked to social media to consider what our attitudes toward this situation should be. Were the indigenous peoples protecting themselves or attacking? Was Chau a missionary or a colonizer? 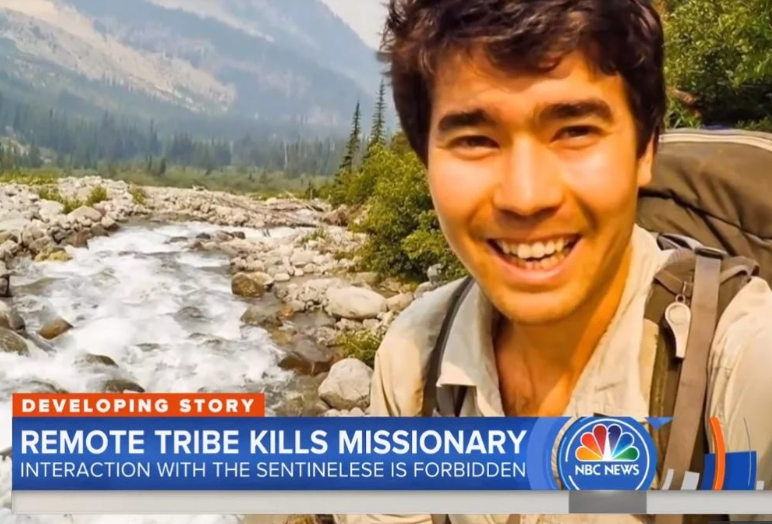 For a young Christian man who “had nothing but love for the Sentinelese people,” where was the line between love and colonization? Perhaps it was the line of law drawn around a protected indigenous group that risks being wiped out by outsiders. Outsiders, including missionaries like Chau, whose presence threatened their culture and their well-being, bringing the risk of outside influences and disease. For many Christians, the need to protect indigenous groups conflicts with their mission. Missionaries, therefore, must take Jesus to the lost of the world, to share his love with those who have no knowledge of the infallible Holy Bible. In the process, I’m learning that even people with good intentions can become tools of oppression within evangelical institutions and still call it love. Chau was a product of this kind of Christianity, and the problem with this kind of “love” is that often under its veil there lies deceit, assimilation and colonization. The incident with Chau is a case in which a people group stood up against this kind of message, and it’s important that we understand why. We can take a quick look at the history of America and see why a people group would oppose outsiders who come in the name of Jesus. Missionaries and colonizers often worked hand in hand, leading to genocide, colonization and assimilation done in the name of Jesus. One instance was Indian boarding schools, designed to “kill the Indian, save the man,” which stripped Native children of culture in order to make them into civilized, white Christians. The Doctrine of Discovery gave European Christian explorers and missionaries the right to dominate the people of any land they deemed “undiscovered,” all in the name of God. Ironically, missions work, which sometimes ends in the total annihilation of a people group either literally or culturally, is simply seen as doing the good work of Jesus. Churches see missionaries as heroes who bring salvation. Congregations throw parties to send out those who are called, they lay hands and pray, they ask for the lost to have eyes that are open to the work of their gospel. Yet, they seem unaware that indigenous peoples see them as invaders who bring destruction, or are indifferent to their point of view, because as Christians, they are the ones whom God has called, so they must be on the right and honorable side of history. And there’s a whole industry that promotes the heroic nature of mission work. According to the International Journal of Frontier Missiology, money that goes toward unreached peoples (unlike reached people groups who are already Christians) is estimated at $450 million per year. The Traveling Team, which calls itself a missions conference on wheels, uses language to romanticize the work of reaching those who are deemed unreached throughout the world, as if a mighty, holy adventure awaits. It is no surprise that Chau’s death is seen as martyrdom or godly sacrifice in many churches. To indigenous peoples, it is no surprise that Christians believe they have the sacred right to go into places inhabited by indigenous peoples like the North Sentinel Islanders. We know what it means to have our lands invaded and our people killed off by disease brought by those who purported that they were simply bringing the love and power of Jesus with them. So, in light of John Allen Chau, the North Sentinel Islanders, and the gospel according to the American church, we need to have a conversation about what love is, and what colonization is, and the fact that they are not one and the same.